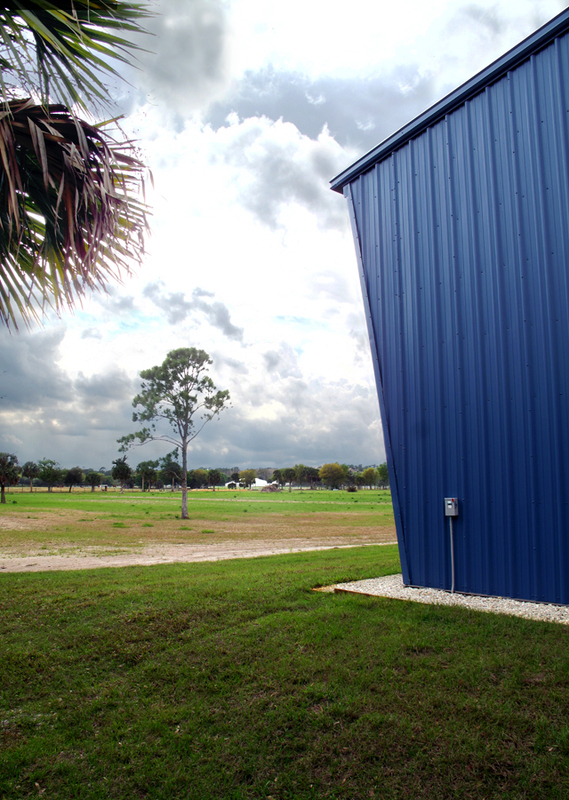 The Copter Hangar is located on 200 acres of grass savannah/pasture land. 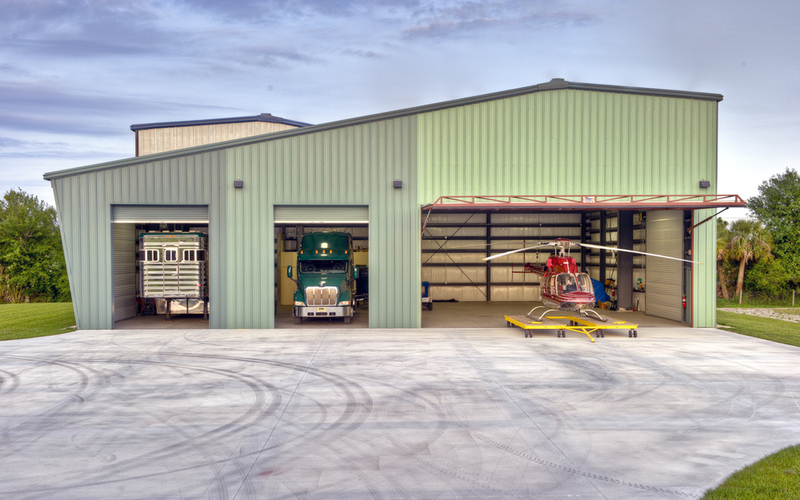 The building is a grown man’s toy box to hold his helicopter, horse trailer, horse buggies and semi truck to protect them from the Florida climate. The owner uses the helicopter on a weekly basis. Horse trailers and buggies are garaged between equestrian events in which the client regularly participates. In this vein of toys and play, the form was initially conceived of as a standard butler building that itself becomes an object of play. 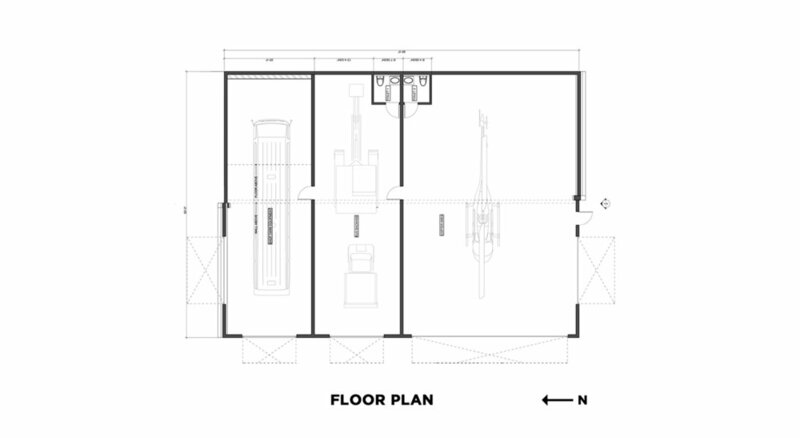 The simple floor plan remains, two angled volumes however have been created that slope away from each other. At this slippage point translucent panels are clad onto the framing that capture natural light and bring it down into the work spaces-play becomes practical. The building otherwise is heavily insulated and almost windowless to reduce exterior heat gain and minimize cooling needs. When opened, a hydraulic hinged door for the helicopter projects from the wall onto an otherwise overhang free building. 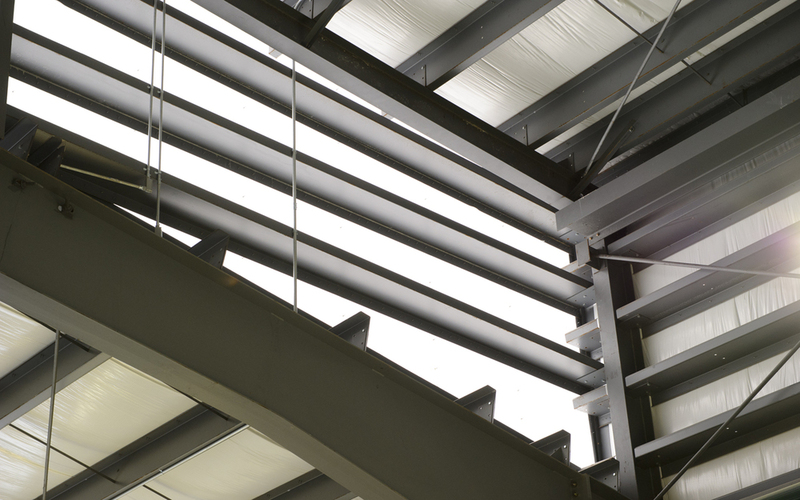 It provides shade and rain protection on days when it is desirable to work partially outside the hangar. An object in the landscape, the building’s dynamic geometry intentionally contrasts the predominantly planted site. 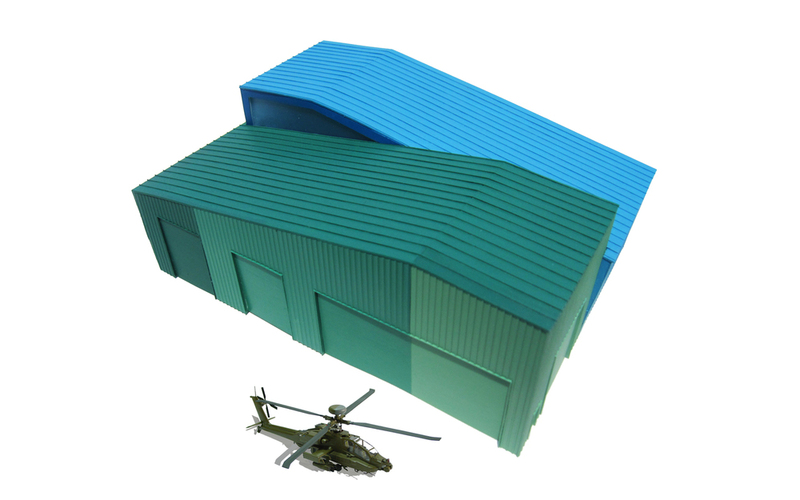 4 shades of green and 4 shades of blue that clad the exterior of the hangar mimic the variation of vegetation and sky colors under sunlight through the day. These specific green or blue fields on the building disappear into the sky or surrounding flora at particular times of day, creating a playful moment of hide and seek across the savannah.